With the start of the year behind us, 2019 is already beginning to flash by with some stunning trends emerging in Landscaping and Pool Surrounds. Heading the charge in Australia is a continued focus on eco solutions both inside and outside the home and the start of this year has seen this trend grow exponentially. There are some amazing styles and trends appearing that meet a variety of needs this year, so if you’re considering creating a new backyard paradise in your home there’s something here for you! We’ve put together 5 of our favourite trends below to give you some inspiration for your space. style elements that subtlety enhance the garden and pool area. materials used inside and outside your home are important to create a sense of unity between these areas of the home. 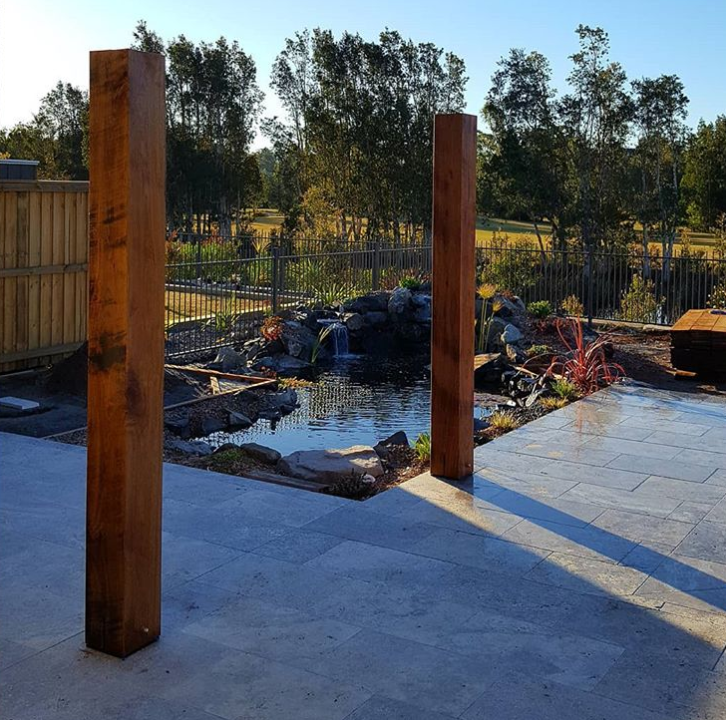 Spaces are also starting to get smaller including backyards, which means clever and thoughtful design principles have taken the lead in creating and maximising spaces. Whether you have a small or large outdoor space, clever design can ensure that it is maximised to its full potential. and corners of outdoor areas. For larger spaces, large fruit trees and shade providing plants are becoming popular to add functionality and shape to your design when landscaping. 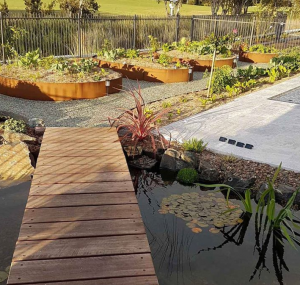 Food growing can now be a stylish design feature in your garden as well as a functional element to provide you and your family with home grown, fresh produce. 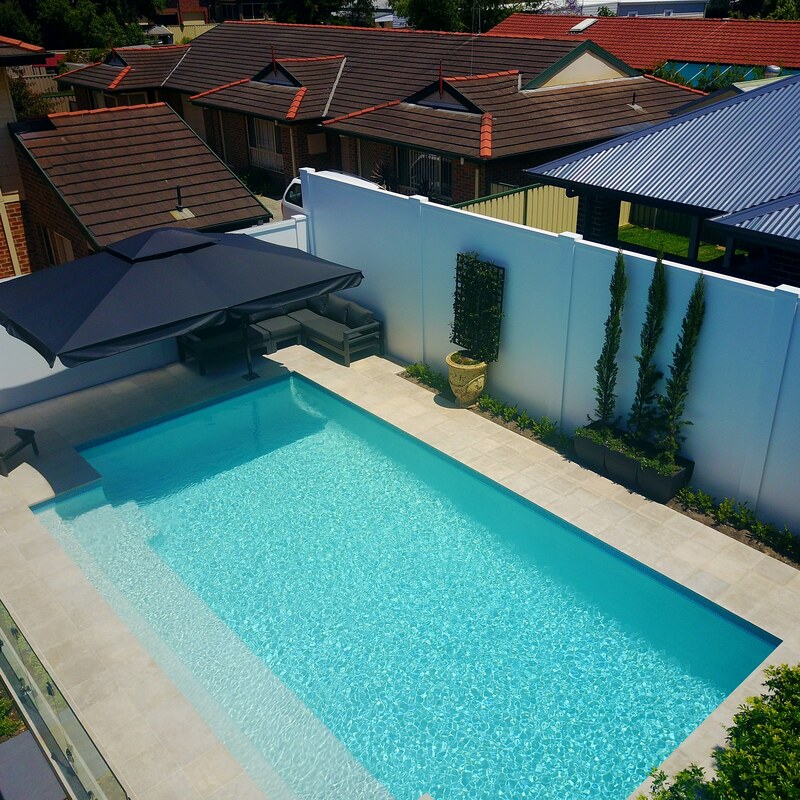 Higher density living has seen a rise in popularity of smaller pools for family entertaining. These pools are still brilliant to relax and cool-down in and many feature stylish sitting benches as an added level of comfort. 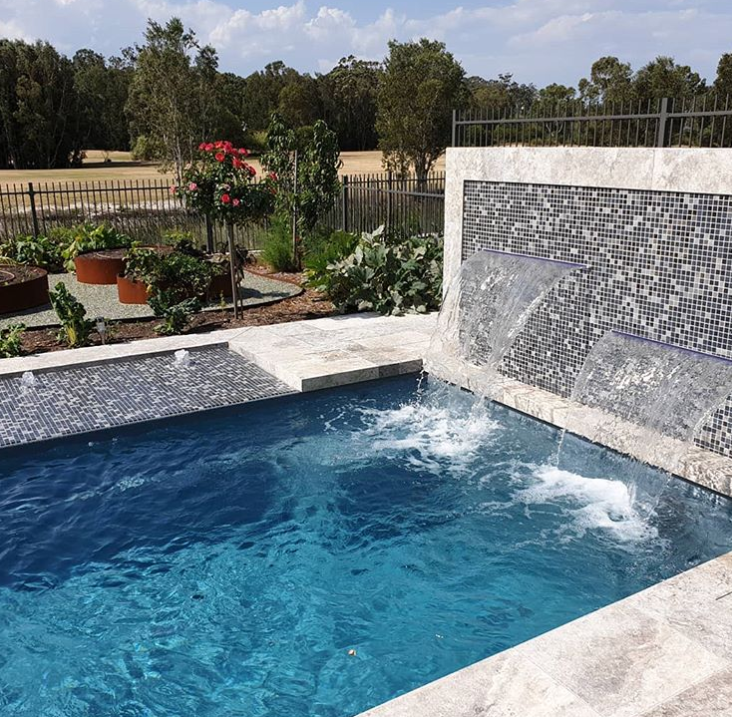 The emphasis on quality materials and design is a strong focus for plunge pools as they aren’t as large so therefore need to be thoughtfully laid out to maximise their potential. above the pool, a stunning feature visually that adds class and luxury to any pool and outdoor area. money and time all year round. Homeowners are also becoming more environmentally aware and water conscious. 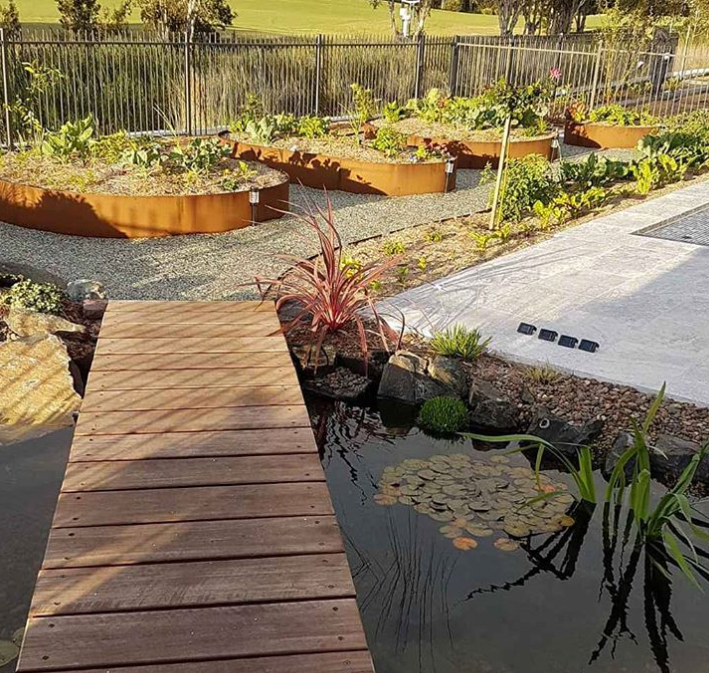 New developments in rainwater tanks link in to your pool and can even drip irrigation out to gardens. These are great options for outdoor pool areas and gardens that have been steadily increasing in popularity. Collected water can also be used around the house and for washing. Simple choices like considering the orientation of your pool and how much sun it will receive as well as carefully selecting materials as mentioned above, can all help to reduce water evaporation in your pool. 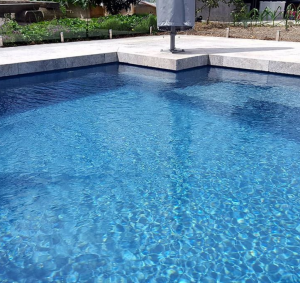 Whatever your style or desires for your backyard pool oasis there is something out there for you and the increase in more environmentally friendly materials and practices is a great step forward for our industry. 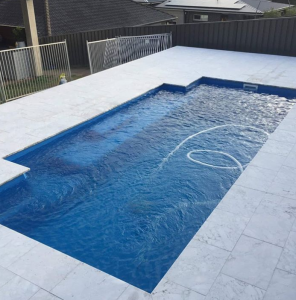 So whether you’re after simple concrete and tile for your pool surrounds, full landscaping and garden design, or a unique sustainable garden to feed the whole family, Utopia Landscaping and Pools have a package to suit your needs. Give us a call today and let us bring your backyard dream to life!